In Dublin diocese there are now just two priests under the age of 40. THE NUMBERS OF priests and nuns in the Catholic Church are falling. That’s according to the Statistical Yearbook of the Church, published by the Vatican Library. It shows the records in Ireland over a 10 year period from 2002 to 2012. The numbers in the female congregation have dropped from 8,953 in 2002 to 6,912 in 2012. That’s a fall of 2,041 (23%). 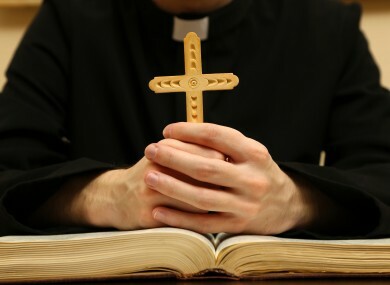 Meanwhile, the number of diocesan priests dropped from 3,203 to 2,800 over the same time period, a fall of 403 (13%). The number of religious priests – members of congregations and orders – dropped from 2,159 in 2002 to 1,888 in 2012, a fall of 271 (12.5%). The number of laymen who have taken temporary or perpetual vows also fell. There were 869 in 2002 but only 628 in 2012. That’s a drop of 241 (28%). Email “The numbers of priests and nuns in Ireland are dropping ”. Feedback on “The numbers of priests and nuns in Ireland are dropping ”.